Yesterday in Mariupol, at the cost of [the life of] a police officer from the ‘Sokil’ [Falcon] special forces subdivision [of HUBOZ], an act of terrorism was averted. A car with tinted windows was stopped at a checkpoint. After the [driver was] required to produce documents and exit the car for inspection, there were muffled shots from a pistol silencer that came from the interior. The shooter was a professional. Three shots and three hits to the head of the police employees. One of the ‘Sokil’ officers, who later died in the hospital, fell unconscious at the site of this terrorist act. The other two policemen, despite wounds to the jaw and cheek, painfully opened fire on the car and continued pursuit of the terrorists, killing one of them. Pursuit of the second [terrorist] was terminated due to the significant loss of blood and loss of consciousness in one of the two wounded policemen. To intercept the terrorists, an alarm was raised in the Mariupol militia garrison. Explosives and detonator sets were found in the car abandoned by the terrorists. This is the second in 2 days a policeman has died at the forefront of the fight against terrorism. 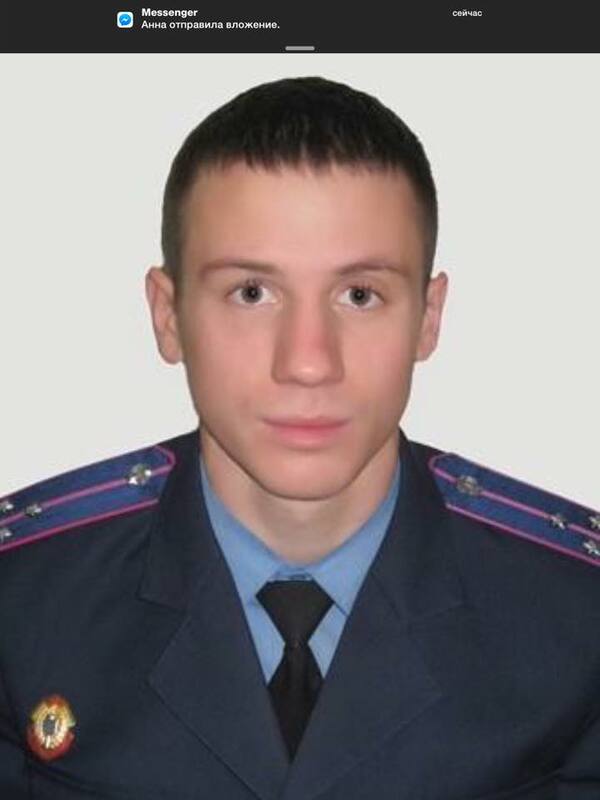 The deceased policeman is Vitaly Mandrik. He was a native of Donetsk Oblast. He was 27 years old. Prior to its capture by Donetsk terrorists [the so-called ‘Donetsk People’s Republic’], he served in the Donetsk ‘Sokil.’ He remained faithful to the oath of allegiance to the people of Ukraine. He left [Donetsk] on his own, bringing his wife and one-year-old child from Donetsk. He lived in a rented apartment on the outskirts of Mariupol on his modest police salary. He performed combat missions at the front lines in Debaltseve, Mariinka, Pisky. Today I want, once again, to appeal to the entire Facebook community and to call for an end to the opposition of police in society, and to hanging of labels of thieves and extortionists on the police. Yes, some villains in the police have remained and they are not few. But overall, the vector of reforming the police chosen by Arsen Avakov is right! Only brave people, ready to stop criminals and prevent a terrorist act with their lives and health, will remain in the police. I also want to ask everyone who reads me, please explain to all your friends and acquaintances that when passing through the AFU [Armed Forces of Ukraine] police checkpoint, especially in the ATO [anti-terrorism operation zone], it’s not necessary to engage in verbal battles with police officers on the subject – to put your documents in their hands or show them at a distance, to refuse to have them carry out inspections on vehicles on the grounds that you heard some wise guy say on TV that screening should only be in the presence of an investigator and two witnesses. You need only to politely bring your documents and immediately comply with all the requirements of police officers aimed at the inspection of your vehicle and verifying your identity. And even if you have a “Press” sticker stuck on your car and you have press credentials and a video camera with you, it does not give you the right not to undergo a vehicle inspection. There are no police “Mielofons” like in Alice Selezneva and Koli Gerasimov. They do not know what you have in mind. Whether you are a famous Ukrainian journalist or human rights defender. Or if you are a terrorist taught in special forces school in Russia, where you were taught to pass through Ukrainian militia checkpoints rudely attacking policemen wagging your mustache. I am preparing a proposal to the Minister of the Ministry of Interior about consciously rigid instructions for the actions of police officers to stop, check documents, and examine the contents of the trunk and passenger compartments of vehicles. You will not like all of my proposal, but I will offer instruction for how to proceed through a checkpoint, the right guarding of checkpoints, of keeping the car when coming into a checkpoint at “gunpoint,” until one has passed the document check and vehicle inspection. This is the only way we can reduce the risk of police officer deaths and military personnel who are deployed for the protection of checkpoints and the inspection of vehicle transports leaving Mordor. In the photo – police officer Vitaly Mandrik died yesterday, who gave his life to stop the terrorists and prevent another terrorist act in Mariupol. This entry was posted in English, English News, Pictures, South&Eastern Ukraine and tagged #FreeSavchenko, #freesentsov, #RussiaInvadedUkraine, #StopRussianAggression, #UkraineUnderAttack, Ukraine, Vitaly Mandrik. Bookmark the permalink. This is the first time i give honour to the “militsiya”. But, this time, all the honour of he’s heroic actions against terrorists! 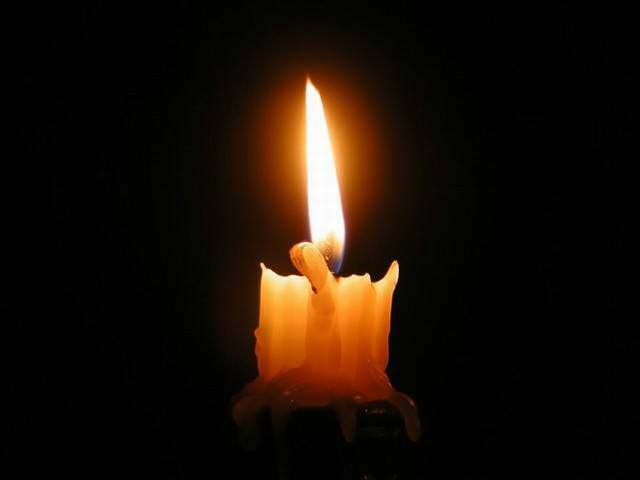 You may rest peace at last… Slava Ukrayini! One nation, one enemy, “one” soldier! How many more noble people like Vitaly Mandrik must die before the world notices and acts to stop this war? I can only hope that his wife, child, family and friends will be able to find happiness again. And that his colleagues will be guided by his example and survive the experience whilst doing so.